Based in the mountains of Western North Carolina (USA), Toby Brown is an entrepreneur, adventurist, and travel fanatic whose love of varying cultures and countries began at a young age. He has spent a large amount of his adult life traveling the world in various capacities and loves to share those adventures and experiences with everyone he meets! Toby's passion lies in global exploration, music, and wildlife conservation. He believes that the greatest way to conserve the amazing wildlife and cultures all over the world is by firsthand exposure. It's with this perspective that Toby seeks to build great experiences for you and your family. Toby has managed travel groups and events for many years and is our marketing director and head tour coordinator in the USA. 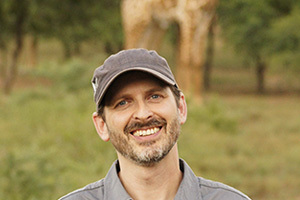 He is available to help put together your safari experience, with firsthand knowledge and attention to detail. Contact Toby to start building your Southern African Safari Adventure!